After a record setting August, where over 11,000 plug-in sales blew the doors off any previous month in history, it might have been easy to consider September’s result at just over 8,000 units sold as a let down. In reality, September was the 4th best month to date and a 40% improvement over a year prior. Now the numbers have all rolled in for October, lead by a surprising resurgence from Toyota and Ford, and we can tell you that this month is the second best all-time with 9,660 sold, passing December of 2012 by a decent margin (when 8,559 plug-ins were sold). GM did have an exceptional 2nd half with the Volt in 2012, so year-over-year comps are tough beats for the company. In October 2012 2,961 Volts were sold – meaning the model experienced a 31.7% decrease this year. Over the summer – in August, the Volt shattered not only their own personal best monthly result, but the entire industry’s selling month with 3,351 cars sold. Moving the sales needle overall was a August 6th announcement that the new 2014 Volt would receive a $5,000 drop in the MSRP over the outgoing 2013 model (which lowered the starting price to $34,995). However, most sales since the announcement have been of the 2013 model variety as not a heck of a lot of 2014s seems to have been made since the July 15th model changeover in GM’s Hamtramck facility. GM had previously far overbuilt inventories before the plant was idled this summer. The 2013 model is currently offered with at least $6,000 off the MSRP (the old MSRP that is – from $39,145), plus if you have a lease of any kind you can qualify for an additional $1,000 off, as well as 0% financing for up to 72 months. Conversely, only the $1,000 lease conquest rebate is available nationally on the 2014s, and the $299/month lease deal with $2,499 down doesn’t seem to gaining a ton of traction in the market. Against a year ago, that was an improvement of 27% when 1,579 were sold. Previously in September, LEAF sales checked in at a decent 1,953 units, which was up 99% over a year ago, while in August, with production maxed out, LEAF sales hit an an all-time high of 2,420 units. For quite some time now, sales have been stuck around 2,000 units, and what once was thought to be a supply issue that could be solved in a few months time has turned into something else all together – Nissan quite simply does not have the production capacity to fill demand as electrode supply constraints have hamstrung the manufacturer until late this year. InsideEVs has learned that Nissan decided to up US made production of the LEAF up to around 2,700 units per month last spring – but those changes would not fully take effect until sometime in October…which means next month, we should what the sales ceiling truly is on the LEAF. The effects of increased production seems to already be showing up at the dealership level as 2013 MY total inventory approached 3,000 units for the first time, up about 1,000 as compared to the end of September. 2014 LEAFs are in production now and will hit US dealerships in December – no word on pricing as of yet. Tesla Model S: Tesla does not give out exact monthly sales…so we never know for 100% what the numbers are until their quarterly updates. Tesla’s Q2 financials confirmed the first 6 months sales at a level of 10,050 units. As this is a list of US sales, we are now forced to shift away from tracking strictly production and deliveries for the company as they are delivering throughout Europe…so no one freak out when sales don’t match total production from here on out. Although fulfillment of Eurozone commitments is what is constantly being verbalized by Tesla, the highest priority is still delivering whatever sales the company acquires at home. Putting a number on ongoing demand in the US is not easy, but we feel relatively confident it currently lies in the 700-1,100 unit range. Given the priority to deliver to the ROW (rest of world) in September, and now that the pressure of the end of quarter deadline (Sept 30th) has also passed, we peg about 800 units of the Model S delivered into the US in October. Going over the results in Europe (and the varying definitions of a sale and what is month end), we calculated just over 1,100 units were delivered outside of the US and Canada in September and expect about the same result for October. Thankfully, another quarterly report is required from Tesla, so we will be able to accurate pin down the overall sales and production of the Model S very shortly. Tesla reports Q3 numbers after the bell on Tuesday, Nov 5th. We will have live reporting on the event then. Chevrolet SPARK EV: The little Chevy electric posted a result of 66 Spark EVs sold during October, which was down some from September when 78 were sold. However, no one should read into this number too much as GM once again provided little to no new inventory on the EV this month. Consistency is really the name of the game GM with the Spark EV, given that 102 cars were sold in August after selling 103 units in the car’s first month on the market in July. The success or failure of the Spark EV can not really be judged in the US by sales…at least not yet as GM is setting the pace of sales by not only limiting the states it is offered (California and Oregon), but also the inventory levels. It has been reported (when the EV went on sale this month in South Korea) that only about 1,000 have been made to date for the US market, of which some 376 have already been sold so far. In fact, during October InsideEVs learned exclusively from Chevy directly that the company has “no plans” to make the car available outside of California and Oregon…so at least for now, we can call this car a compliance play – meaning GM will ship and sell the number it deems necessary until further notice. While no specific production level or allocation amount has been set by the company, it seems fairly obvious the company is distributing out around 100 units per month (give or take). About the Spark EV: GM’s compact EV has a 82 mile range (EPA rated) and has just been priced by GM at a competitive $27,495, about $1,400 less than the new entry level, S Model LEAF offered by Nissan. A $199/month lease is also available from launch. Reviews (like this one) of the little electric Chevy has widely been positive since the car has been available for testing…we guess it has something to do with the 400 lb-ft of torque on tap – nothing like having some acceleration in a affordable EV past 50 mph. We figure that any 3-digit number probably satisfies GM’s internal projections for the car. Given that Fisker has not built a car in the last 15 months, and having scared away all deep-pocked suitors, the Department of Energy decided that October was the best month to attempt to recover some of the $168 million Fisker owes them by auctioning off their debt on October 11th. The result of that debt auction apparently went pretty well as Hong Kong billionaire Richard Li acquired the note for an (as of yet) undisclosed sum, which basically mean he controls the company. This is quite likely a best-case scenario for suitors of Fisker as Li (and his dad) have deep enough pockets to restart Karma (or even Atlantic) production on a whim. But until that happens, and being the good soldiers we are, we continue to pound the pavement on the auto maker’s monthly results. It appears that after selling 3 in September, it appears only 1 was sold in October. Which leaves only 44 more 2012 models to leave showroom floors. Perhaps dealers are holding onto inventory in hopes of a rebirth means they don’t have to further discount existing inventory. Separately Bob Lutz’s Destino supercar has been given access to Fisker tech and is now headed to production – ex all the parts that interest us like an electric powertrain. Bob also notes that VL Automotive (maker of the future Destino) has secured a source of body panels and gliders. Fiat 500e: When it comes to reporting plug-in sales, we may have another Tesla on our hands here (as in they don’t report sales). Chrysler/Fiat, which has been notoriously anti-EV is also giving us a bit of the stonewall treatment when it comes to reporting 500e sales. After enacting repairs to the 2013 production allotment, more inventory showed up at Fiat dealers late in September. Update from the future: Thanks to a recall notice in May of 2014, we find that 2013 sales of the Fiat 500e were higher than originally thought. For December we estimate 400 were sold. Honda Fit EV: This month, Honda managed to move 40 Fit EVs, which roughly matches the pace set in previous months. Last month continued a familiar story at Honda as they managed to sell 35 Fit EVs from almost zero national inventory…literally. Previously in August, the trend of “we sell everything we have” was also in play, as Honda managed to sell 66 Fit EVs in August. Speaking in meaningless percentages, inventory of the Fit EV nearly doubled at Honda dealers by the end of the month with almost 10 unclaimed plug-in units in stock. With a hot seller on their hands and Tesla ZEV credits in their back-pocket … and nearly half of the planned production now sold for the US on the Fit EV (1,100), we had doubted new inventory in depth would ever come from Honda – now we can confirm it, as Honda has made a statement on the situation. So if you get one…count yourself lucky. SMART ForTwo Electric Drive: In October 111 smart Eds were sold, bring the year-to-date total up to 603. Previously in September the good times kept rolling for smart as 137 copies of the smart ED sold – both of the last two months well above the company’s initial forecasts for the little 2 seat EV. Although, sales of the smart ED have fluctuated fairly wildly in the last few month introduction of little EV nationally in 2014 is sure to smooth out the curve in the low 3 digits. The USA-wide rollout has been hampered by some unforeseen worldwide demand that has lead to a 9 month backlog from parent Daimler. The company says battery cell availability issues are under control know and they can indeed satisfy ongoing demand. In August, and like just about everyone else in the business, smart had its best result of 2013; but unlike everyone else – theirs was about 300% better than their previous best, as a massive (for smart) 182 Electric Drives were sold. The smart ED is the first plug-in for America to be offered with a “battery rental” option, which brings the cost of the Smart ED down to $19,990, but adds a $80 month battery rental payment, as well as includes a wider (and longer) battery warranty. Check out all the specs, options and pricing here. Ford Fusion Energi: The Fusion Energi has been on an uptrend all year, but October saw the 21 mile extended range Ford soar as 1,087 were sold. Passing the 4-digit mark is uncharted territory for the Fusion Energi as the car’s previous high was set just last month in September when 750 were sold. Unlike the C-Max Energi, the Fusion Energi has been priced in-line (and above) the other 5 Fusion trim levels in the model lineup, so as not to ‘steal’ sales from itself. This has resulted in a starting MSRP of $39,495; but we are not sure anyone has actually paid this amount over the past 2 months. Amazing what a $2,010 to $4,620 price cut in MSRP can do for sales! If it wasn’t for last August’s phenomenal result of 1,791 sold, this month’s number would have seemed almost impossible…but it still is very surprising as only 1,152 plug-in Prii were sold in September. October’s number is Toyota’s best ever, the previous high was set exactly a year ago when 1,889 were sold. In mid-summer we thought that going forward, it was going to be very improbably to keep up with last year’s sales pace, as Toyota never sold less than a 1,000 cars in any of the last 5 months of 2012, with 7,715 plug-ins getting sold between August and December. Good for an average of 1,543. However, after a several solid months under Toyota’s belt, anything is now possible as Toyota has issued 10,069 plug-in Prii so far this year, which is up marginally over 2012. Last year Toyota sold 12,750 plug-in Prii in the 10 months it was available. That means Toyota will need to average a little more than 1,300 sales in each of the last two months to avoid the distinction of being the first EV sold in the US to lose sales year over year. Not a great distinction to have. Ford C-Max Energi: Everything at Ford seemed to sell well in October (outside the Focus Electric), and the C-Max Energi turned in its own “best month of the year” result with 1,092 plug-ins sold. The C-Max Energi first broke out of its sales rut in August as it set a new year high…a record that only lasted one month as Ford sold 758 in September. Previously in August 621 C-Max plug-in sold. The all-time record was set in the Energi’s first month on the market, as there was a sizeable demand backed up after the standard hybrid was released – that November (2012) 1,259 were sold. But realistically speaking, to much higher that current levels something needs to be about the MSRP. At $32,950 as we feel it is just too close to the Chevrolet Volt after GM lower the price of its 38 mile, extended range car by $5,000 in August…the only problem for Ford (and EV fanatics) is that the C-Max hybrid is selling so well that Ford is likely hesitant to close the gap between it and the plug-in Energi version. Still, with 2014 pricing not yet announced thanks to an odd production schedule…we expect to see a change in the starting asking price soon. 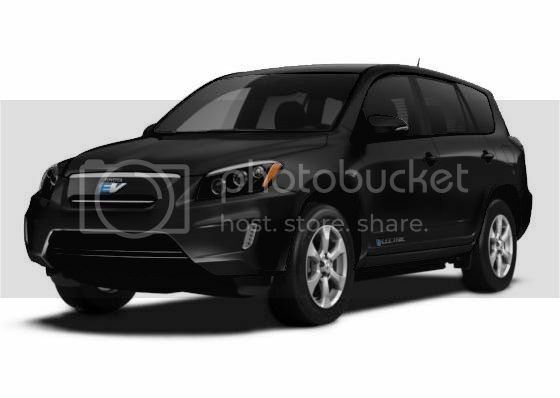 Ford Focus Electric: In October 115 Focus Electrics were sold, which continues a downward trend of late for the 76 miles EV. Previously in September 110 Focus EVs moved off dealer lots. The Focus EV is really the ‘oak tree’ of plug-in sales reporting, sure and steady; always ‘one hundred and something’ sales results…you could almost set your watch to it. Previously in August, 175 all-electric Fords were sold. Taking September into account, 11 out of the last 12 months have seen triple digit sales….although Ford does seem determined to correct the trend of 100ish sold per month, as Ford slashed 2014 model year pricing by $4,000…down to $35,200, letting their customers and the industry know they were in the business of selling electric cars for more than just their compliance value. Additionally, this month a $0 down, sub $300/month lease deal has been made available through January of 2014…so we do expect bigger and better things (sales-wise) from Ford to close out the final couple months of the year as most of the points of contention have been solved in October. Toyota RAV4 EV: For October 91 plug-in SUVs were sold, which was down from the recent upswing over the past 3 months for the compliance-built Toyota plug-in. Overall however, Toyota has experience a resurgence the last 4 months in selling their CARB compliance SUV. 167 were sold previously in September – the second best result for the electric SUV since it went on sale. Like its sister Prius, the RAV4 EV set a new high for 2013 in August, when 231 were sold. To bump sales Toyota has taken a page out of Honda’s playbook on their compliance vehicle and is now offering the RAV4 EV lease with something the mainstream players can’t – unlimited mileage leases. In the short term, it seems to seriously be working – however, Toyota has had some serious ups and downs selling the electric SUV, so we are going to say that Toyota still its work cut out for them trying to sell 2,600 of these over the next year and a half – but a few more months like August and September we force us to change our minds. Predictions for sales in November and Decemeber? No way, who knows what deal is (or isn’t) coming from Toyota in the next 30 days. Steady, but low. That’s the Mitsubishi i-MiEV. Sales for October came in at 28 units. In what is turning out to be Fisker-like monthly reporting event, Mitsu sold 20 i-MiEVs in September, after 30 were sold previously in August. What is the problem? No inventory, as 2013 models never arrived at dealerships this year; only old 2012 models remain. Despite all this, Mitsu touts that sales are “up 123%” this year. Which is true thanks to a massive sell-off in January in February. Also of interest Mitsubishi has sold more 2012 i-MiEV than appeared to be in available inventory to start the year – which although that sounds impossibly like more 2012s are magically appearing, what it actually means is that Mitsubishi has likely been holding inventory waiting (or hoping) on dealers to pull allocation from a reserve stockpile from their factory in Japan. However, we can tell you that new model year i-MiEV are coming! We just have no idea when (maybe not until all the ’12s are really and truly gone). We exclusively got a hold of someone at Mitsubishi USA on the status of the little Japanese kei car – and while there might not be a next generation for the US, there will be another model year coming…at some point. October represented a slight improvement in Accord PHEV sales with Honda reporting it sold 71 units. To say Accord PHEV sales are flat would be an understatement. For September, Honda sold 51 electric Accords. Practically speaking, the Accord plug-in is the anti-Fit EV, they just can’t sell these things – previously in August 44 were moved off Honda lots. Each month we ask ourselves the same questions: Does Honda even want to sell these? Why do they bring them to the US at all? A $40,000 mid-size Honda sedan with 13 miles of electric range is just not something Americans want…and they know it, with little to no inventory available. Simply put, this should have been an offering from Acura. Still, we have to report the results. Previously in July, Honda sold 54 of their plug-in Accords. So far in 2013, Honda has sold 298 of the PHEV. So, with the Honda Fit EV now selling well (when they choose to stock them), the Accord plug-in looks to take over the crown of “most anemic” selling plug-in car in the US. After the ELR, a foot race of sorts will occur between the all-new, purpose built BMW i3 (all the details on that can be found here). The Mitsubishi Outlander PHEV – a 25(ish) mile extended range SUV that was originally expected in January, then the Spring, then Summer…has apparently now been pushed off until 2015 to allow for Japanese and Eurozone deliveries happening now. “In all the key criteria, this vehicle will be at least as competitive as our competitors’ models.” – and by our competitors’ models – he means the BMW i3. No pricing has been announced as yet, rollout to happen regionally in the summer of 2014. 32 Comments on "October 2013 Plug-In Electric Vehicle Sales Report Card"
Accord PHEV needs to be at least $10k cheaper, or they need to bring its battery up to 16kWh or more. I have no idea how they would fit 16kWh into that, it would render the boot useless or it’ll need to be raised and packaged awkwardly if more batteries were to fit under the floor. It would sure get $7500 off. The Accord PHEV would be better off being rebadged as an Acura. Will this make six straight months of Nissan holding a 50%+ share of the US BEV market? Assuming, that is, that the Tesla sales estimates for recent months are ~ accurate. Unless Tesla can get S sales back up to the “early adopter” levels of last spring, or some other manufacturer wants to move its own BEV sales beyond the “compliance” market, Nissan could hold that majority of the entire US BEV market through 2014, IMO. When presented this way, it seems like most of the EV manufacturers are saying the same thing: We’ll do the minimum to make the compliance requirement, and no more. That seems to be GM’s attitude. I hope Jays theory on more Leaf production=more leaf sales ends up being correct. Nissan needs to break into the next level….they have been flat for months at 2000. It is certainly clear that Nissan, at least part of Nissan (and the important part) has held a steady, supportive attitude towards EVs. Their recent forays into putting skin into the game to help defray the cost of DC chargers shows this- if they were about compliance and selling credits, they wouldn’t bother with that. And the recent news that the 2014 base model will have DC input standard… even though there’s no network really to support that… is telling. We got our Volt a month ago and really like it, but it’s the girl’s. I’m eying the Leaf as we speak. I’m happy to support both since, say what you will, both GM and Nissan have taken risks in this area, and I’m happy to reward them. One of the many reasons I would not buy a PiP, even if the range was 40 miles. I am definitely over the PiP October sales but not in a good way. I don’t see the PiP as a good poster child for plug-in vehicles, more neutral or negative if anything. What is the value proposition for it unless the owner is gaining HOV access or has a very specific driving profile? It is not capable of full power EV operation and the diminutive offers little benefit for plugging in. What about the PiP will impress non-EV buyers, or EV buyers for that matter? I believe the discerning public will ask these questions of PiP owners and honest replies will likely do more to harm adoption of plug-ins than help. The Leaf, Volt, and Model S definitely have stories to tell and can impress the non-EV afficianados but the PiP? Not so much, IMO. Also an AWD version would be nice too. Oh, Toyota, Toyota! Hasn’t playing with hydrogen blown up in your face yet? I’m starting to think the Chevy Volt is really turning into a Turkey in that it hasn’t really been able to break out of the 2000’s I always thought that it would at least be able to get to 3000 or 4000 but it hasn’t done that. But as of now it seems the Nissan Leaf might beat it next month once the new capacity comes on line. As for the plug in Prius I think it’s going to be running the show in terms of sales for the next few months in that it seems to be gaining steam by taking away sales from existing None plug in Prius and with this said this thing could easly go to 3000 next month and with in five months break into the 4000’s and 5000’s as more of these plug ins get on the highways and more people see them and learn about them. I wouldn’t hold my breath on the LEAF. If you look at the SF Bay Area, the LEAF are stacking up. Lots of inventory. The Leasing deal is what keep the LEAF going. What has been short in inventory has been the $199/month S model. I believe that is the “loss leader” for LEAF. All the SF Bay Area dealer wants you lease a SV or SL model instead of the S model. It seems the S model is just there to get you in the door. The Volt inventory in the SF Bay Area is actually fairly low…. Dealers want you to buy the higher end model of EVERY car. This is exactly what you’d expect from dealers when supply is limited. They’re trying to maximize profit from the units they can make. Tesla is doing the same with the Model S, making the P85 model “One month priority delivery” while the other models are a 2-3 months. They’re hoping impatience is enough to push some buyers into the higher model. It could have produced mostly the S trim for volume. But I guess that would lose too much money…. For those keeping track of PEV sales milestones, Volt sales in the U.S. passed the 50,000 milestone in October (actually 50,240 units sold since December 2010). The Leaf is second with 37,950, followed by the PiP with 22,819, and then the Model S (with around 16,000). If sales are accounted since the launch of the Tesla Roadster (~1,600 to 1,800), PEV cumulative sales should have reached 150,000 units in October. Unfortunately, more precise figures are published since December 2010, and do not include the Fisker Karma (~1,600). The i-MiEV and RAV4 are equalled in YTD sales of 1006 units each. Just a little observation. I like to compare BEV to PHEV sales, so far that’s been easy to accomplish. With the i3 coming on stream next year with the optional Rex range extender, I wonder if BMW or Inside EV’s will report BEV and PHEV sales separately or not. the only thing your seeing today is highly suppressed Volt sales. In the most of Europe the Volt is sold as Opel Ampera. In the UK as Vauxhall Ampera. The Ford C max should at least sell anywhere from 800 to 1000 in that lately I have seen several new C Max plug in hybrids showing up in the local streets and parking lots in my area. I believe your Model S sales estimates are about 600/mo shy of production but we’ll know soon enough. The chart does only estimate US sales. For instance this month we have total worldwide sales at about 1,900 units…2,100 last month. Understood, but I believe they have been assigning VINs at a 540+/wk pace for a couple of months now and have hinted at a 30k annual pace. I think Jay is right in somewhat low-balling Tesla S’s in the estimate, and then revising upwards after their quarterly report. It’s more reliable, as a journalist running a pro-EV site, than the opposite approach which might quickly backfire. This quarter is a real wildcard as it is the first where Tesla really can’t manage their own estimates by just working the line a little harder. Building Euro-spec cars, actually getting them to Europe, doing some re-assembly regionally, then actually getting them into customer’s hands has a lot of potential hiccups along the way. This will be far be the most interesting quarter! Gas prices fell in October, and that kills off potential EV sales. If the gasoline subsidies were announced as to be removed by Dec 31st, gas prices will climb and EV sales will jump! Are these sales data available as a state-by-state breakdown? At least for the makers that report monthly?